DENVER Infrared Thermal Imaging. Serving Denver, Parker, Castle Rock and Surrounding Area. Infrared Thermal Imaging is the process of interpreting surface temperatures into a visual image that we can easily observe and interpret. Thermal imaging measures radiated IR (infrared) energy and then converts the data to corresponding maps of temperatures, referred to as thermographs. 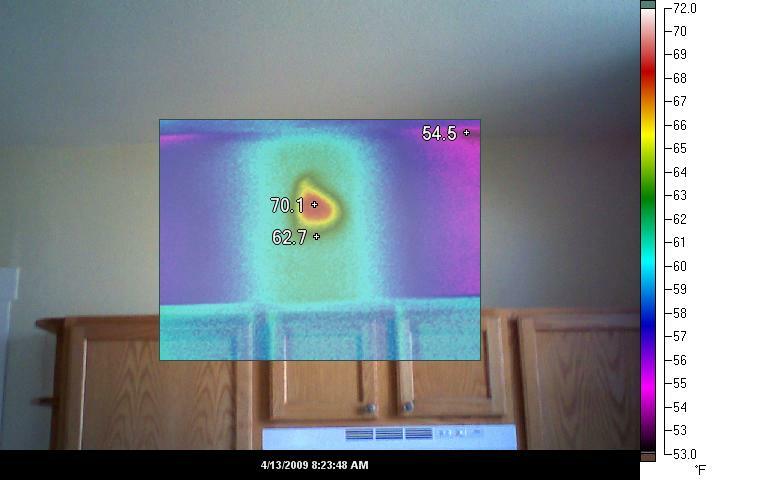 Thermographs provide temperature data at each image pixel (over 17,000 detectors) and typically, cursors can be positioned to each point with the corresponding temperature on the screen. Thermal, or infrared energy is light that we cannot see because its wavelength is too long to be detected by the human eye. It's part of the electromagnetic spectrum that we perceive as heat. Everything with a temperature above absolute zero (-459.67°F) emits heat. The higher the object's temperature, the greater the infrared radiation that is emitted. Even very cold objects, like ice cubes, emit infrared. Infrared thermography cameras produce images of invisible infrared or "heat" radiation and provide precise non-contact temperature measurement capabilities. Nearly everything gets hot before it fails, making infrared cameras extremely cost-effective, valuable diagnostic tools in many diverse applications. This Homes Conventional Gas Furnace Was Using An Old Exterior Brick Chimney to Vent. Our Infrared Camera Discovered the Brick & Mortar had Failed Allowing the Heat and Potentially, Carbon Monoxide Gases to Escape into the Wall and Ceiling Cavity. Notice the Almost 16 Degrees Difference in Temperature, (54.5 vs 70.1). Moisture Damage creates an ideal environment for mildew and mold. Wet or defective insulation within the roof or wall structure can be detected quickly and accurately. This allows repairs to be done of the defective area, reducing costs by only replacing and repairing what is needed instead of the entire area. -Pinpoint water damaged areas quickly. 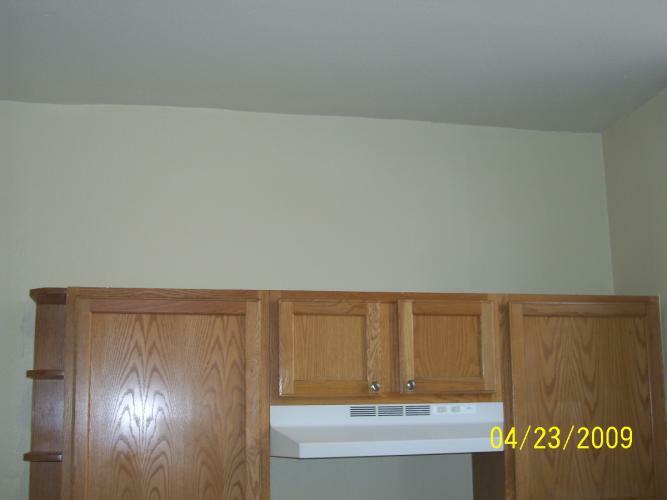 -Eliminate replacement of the roof and wall areas that are NOT DAMAGED. 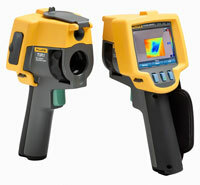 -Thermal Imaging Provides a non-invasive moisture evaluation. A home efficiency inspection can be used to verify many items in construction giving hard copy documentation of the conditions inspected. The inspection immediately after the completion of a home or any new construction may expose problems while they are still covered by builders warranty. Also Thermal Imaging is invaluable to locate energy related problems caused by poor design, workmanship, or material failure. -We can Record & Document for future reference the location of studs and insulation. -Identify air leakage and energy loss. -Reduce heating and cooling expenses. -Detect poor electrical connections, overloaded circuits and other electrical imbalances. -Locate missing, improperly installed, wet or damaged insulation in walls, floors, and ceilings.